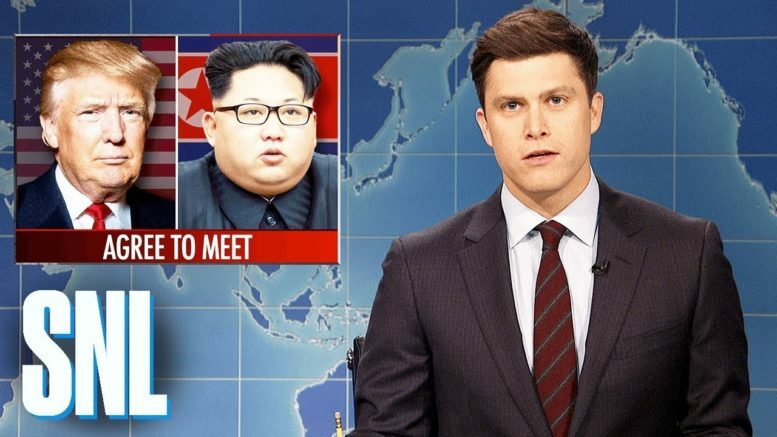 Weekend Update anchors Colin Jost and Michael Che tackle the week’s biggest news, including Kim Jong-un agreeing to meet President Donald Trump. Eric and Donald Trump Jr. (Alex Moffat, Mikey Day) stop by to address claims of chaos in the White House. More news, including McDonald’s turning its logo upside down for International Women’s Day. Dawn Lazarus (Vanessa Bayer) previews what to expect with the next winter storm.